Fałszywe łożyska znalezione u klienta końcowego ZVL | ZVL SLOVAKIA, Sp. z o.o. It is everyday job of ZVL SLOVAKIA representatives to counter proliferation of counterfeit bearings. 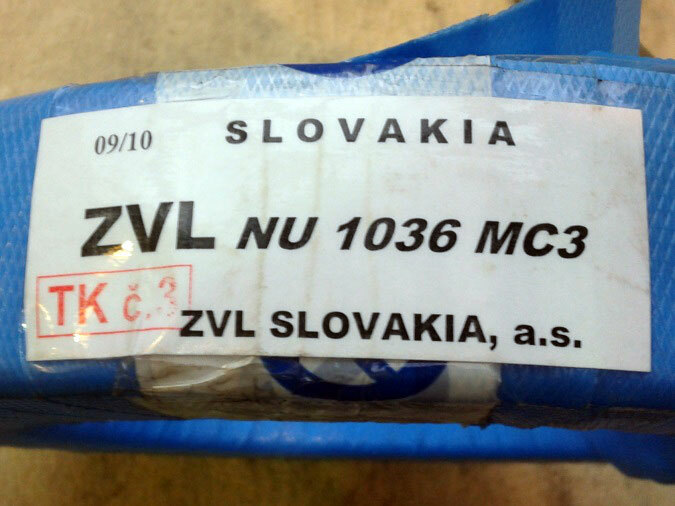 We managed to secure counterfeit ZVL bearings at the end user – an OEM client during one of our raids in Czech market. 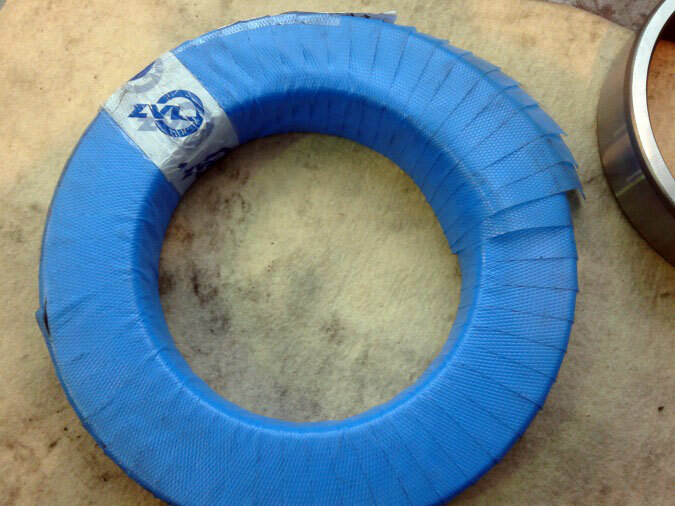 Our client has placed a claim on quality of supplied cylindrical roller bearings NU1036M C3 designated with ZVL trademark. Further to the analysis performed on bearings in our laboratories in ZVL SLOVAKIA it has been revealed that we deal with counterfeit bearings supplied to customer by chain of unauthorised distributors of ZVL brand. Yet again, this finding has shown the great risk the end user is exposed to. Poor-quality bearings have been supplied to fake trademark bearings our customer is used to. This fraudulent activity has been identified before mounting of bearing into device; therefore severe device damage has been avoided. Unfortunately, distribution of counterfeit bearings not always ends with its early detection as in this case. Therefore we would like to point out the risk of using counterfeits regardless on violation of intellectual property rights related to ZVL trademark. Should you have any suspicion about genuineness of ZVL bearings, please do not hesitate to contact us for verification. We shall bring to your attention again that the best way to prevent buying counterfeit bearings is to use our official distribution channels. For detailed information about our distribution network please visit our website.